Here at Evans Body Shop, Inc. we are your one-stop place for all your auto body needs. No matter what kind of collision repair you require, we can handle it for you and have your vehicle looking good as new. We can also amp up your ride with custom paint jobs and other custom work to enhance the style of your vehicle! Our shop offers state-of-the-art computer technology and friendly service, and we are proud to serve the Van Buren, AR, and its surrounding area. Few clients realize the power of paint. When a vehicle receives a new coat, it transforms into a beautiful structure. That's part of what we love when we do our job: seeing that transformation. Our specialists here at Evans Body Shop, Inc are more than qualified to custom paint your ride till it looks good as new! Automobile wrecks can leave your vehicle in shambles, but with our help, you won't even realize there has ever been any damage. Our collision repair services go above and beyond to restore your vehicle back to its original structure. We remove scratches, straighten frames, and more! 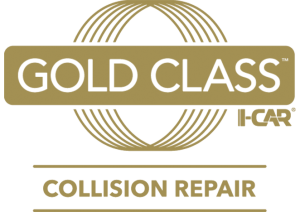 Evans Body Shop is proud to be a Gold Class® collision repair business. The Gold Class recognition indicates that our technicians are trained in the proper repair techniques and procedures that contribute to the complete and safe repair of your vehicle. As a Gold Class shop, we require each of our technicians involved in collision repair to take ongoing training every year. This includes classes on new vehicle technologies and the latest repair techniques. Evans Body Shop is among only 10 percent of collision repair businesses to achieve Gold Class status, whereas shops that are not Gold Class may train minimally or not at all. Gold Class shops are trained on how to fix your vehicle right, on what can be repaired and what needs to be replaced, and on how to see hidden damage that may be easy to miss. Two out of three people find a repair shop by talking to friends or relatives. Don’t take chances. Refer your friends and family to Evans Body Shop and let our trained repair professionals take care of them today! Need Auto Body Repairs? Leave It To Us! Our skilled auto repair specialists are ready to tackle any task that comes through our garage. From body work to glass repair to custom paint jobs- we do it all! Take a look below to learn more about our range of services. The Best Auto Repair Shop In The State! All of our technicians are professionally trained and certified, and attend regular training courses to stay up to date with the latest technology and techniques. We also have a state-of-the-art facility and tools that allow them to erase the blemishes from your automobile, returning it to its original condition. We strive to get your vehicle back to you in a timely manner and restore it to its prior condition. When you step back into your automobile, it will look and operate like it did before your accident. We take pride in what we do and that is something heavily reflected in our work. Our skill level has enabled us to become a Gold Class shop; one of the most elevated achievements. Part of what sets us apart from your average body shop is our keen attention to the details. We consider ourselves perfectionists because we feel our work and our clients deserve nothing less. 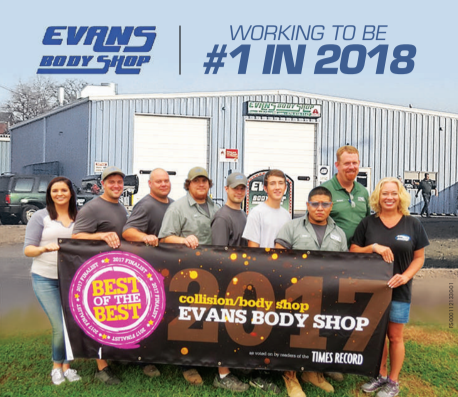 When you do business with Evans Body Shop, Inc, you do business with a company that values your satisfaction. We do our best to ensure that you are not just happy with the results, but that you are amazed!